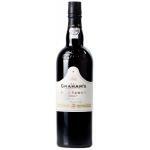 Graham's produces the Graham's Six Grapes ($21.38), a fortified wine from Port that is based on tinta çao, tinta roriz, touriga nacional, touriga francesa, tinta barroca and tinta amarela grapes and presents an alcohol content of 20%. 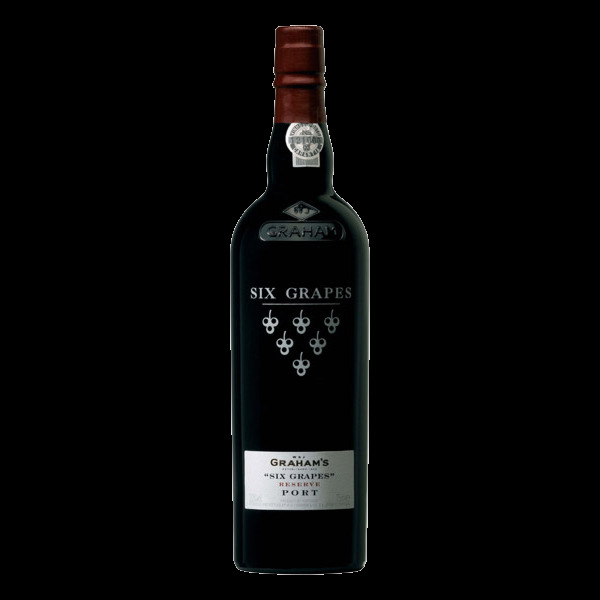 The Graham's Six Grapes is the ideal fortified to combine with blue cheese and cakes and pastries. 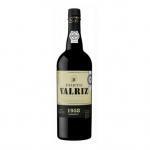 Uvinum users evaluate this fortified wine with 4,4 out of 5 points while experts give the following rate: wine spectator: 87. 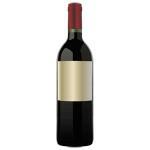 - View: Graham's Six Grapes has a high layer cherry color, almost black and cardinal trim. - Nose: Attractive entrance with rich hues. Undoubtedly red berries have a dominant performance, but moving the cup will come out black notes of chocolate, filled chocolates and brandy cherry, ripe black plums, figs, black pepper, thyme, blue flowers and earthy notes (which together with floral notes, gives you the feeling of being near an aromatic pot). 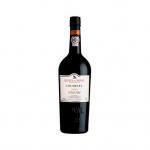 - Mouth: Silky Attack, with good structure and tannins but tamed. Middle-high with a warm body and tips of alcohol. 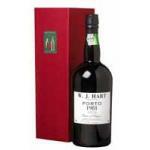 The predominant notes are tasty red berries, black chocolate and a subtle sweetness, which is caressing the palate at the end, a persistent, pleasant and velvety finish. 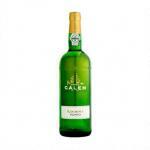 PAIRING: Perfect companion accompanying cakes with wild fruits, nuts, chocolate desserts or blue cheese. 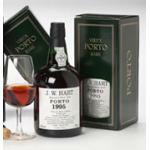 A wonderful, very fruity port, it tastes like grapes fresh from the vine. 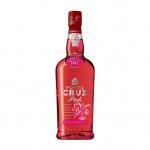 - Nose: Rich seducer of ripe plums and cherries perfume. - Boca: complex, with a good structure and a long finish. - Nose: rich seductive scent of ripe plums, black cherries and chocolate notes. 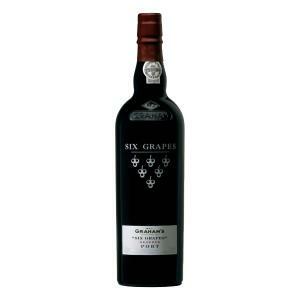 This Graham's Port Lodge Six Grapes Reserve Graham's had good scents of red fruits. Berry flavour. Great wine menu that would go well with a good meat. I thought the Graham's Six Grapes Reserva would be perfect for a romantic evening. It had and intense colour. It was light. 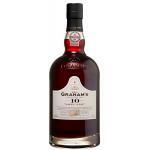 If you want to buy Graham's Six Grapes, at Uvinum you will find the best prices for Port fortified wine. Purchase it at Uvinum at the best price, fast, easy and 100% safe. 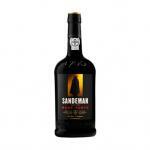 We offer over 59.000 products on sale which makes us the leading marketplace for wine, beer, and spirits in Europe thanks to more than 38.000 customers who trust us.